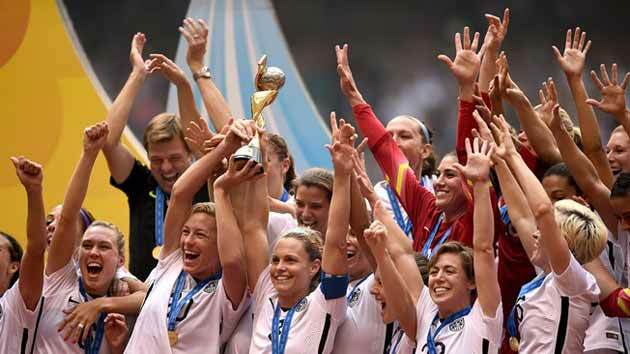 In sixteen minutes the Americans overwhelm the strong Japanese and conquer the world title. In front of 53.341 spectators opens the world final of Canada 2015 with the girls with stars and stripes that start strong and push forward surprising the rearguard who suffers the first goal after just three minutes with Lloyd that repeats two minutes later and then put signing his personal hat-trick with the fourth network signed at 16 'after Holiday had scored the third seal. 16 forcing minutes that bring down the very strong former world champions who can do nothing against the American stratospheric. At the 27 'the Japanese manage to distance themselves with Ogimi who overcomes Hope Solo after 540 minutes of unbeatenness. The goal restores balance and confidence to the girls of the rising sun that are close to doubling with Aya Miyama but Hope Solo neutralizes. THE BRONZE TO ENGLAND, OVERLAPS GERMANY TO THE SUPPLEMENTARIES. Germany falls from the podium, defeating to extra time from an excellent England. The challenge promises a fought contest with a high competitive and technical-tactical profile. Germany is open to emotions with Sasic but Bardsley cancels the danger. The English react with Houghton who wastes from close range. The game flows pleasant alternating occasions on both sides but the result remains unchanged. It takes the supplemtari to assign the Bronze medal to England that passes to the 108 'on penalty transformed by Williams. A good game ended with the first medal for the British in a world championship and the fall of the great Germany from the podium. Tonight the great world challenge between USA and JAPAN. 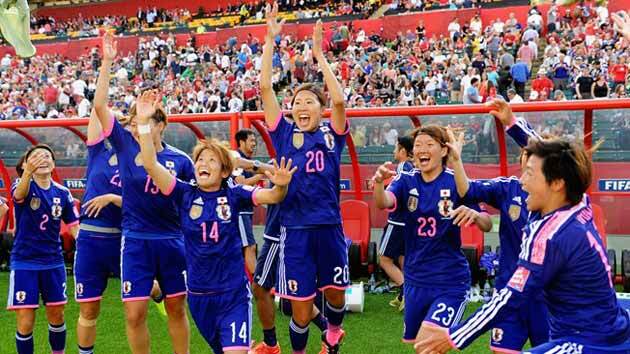 It was not a good match between Japan and England, the stakes may have influenced the game in terms of the game and the show giving priority to the result that only for a stroke of luck smiled the girls of the sun. Two half penalties in the first half sent the two teams to rest in a tie. The recovery was dominated by the English who managed to create some net chances that made the Japanese rearguard tremble and the crossbar of the goal defended by Kaihori. When everything made think of the extra, the misfortune sided between the English ranks and Basset at 92 'deposited the ball in his own door for the happiness of the Japanese who hit the second consecutive world final. And on the US-JAPAN Sunday, the Canadian title 2015 is played. 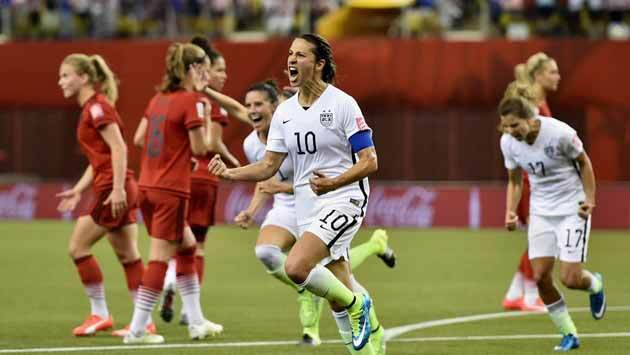 The world semi-final between the United States and Germany ended with the deserved victory for the Americans with the result of 2-0. Balanced race, with ball possession slightly in favor for the Germans (51%) and the Americans who became more insidious and cynical and managed to score with Lloyd at 69 'on penalty and O'Hara at 84'. The first half slides fast with reversals in front but in inviolate networks. The turning point when Sasic fails a penalty kick, which could change the fate of the race. Do not mistake Lloyd, a few minutes, and paves the way to the final of his America. A game that did not betray the expectations and involved, with game and show, the many fans who flocked to the Olimpico in Montreal or glued in front of the Eurosport TV to witness a spectacular challenge between two great women's football powers that have played face to face the pass to the World. 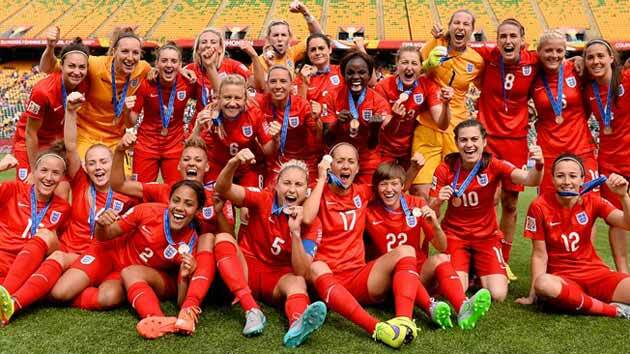 The emotions continue tonight with the reigning champions of Japan and the surprise of England. We hope to see at least one eusopea team in the final even if the favor of the prediction is all in favor of the Japanese. Japan freezes Australia at the end and the pass for the semi-final is measured. 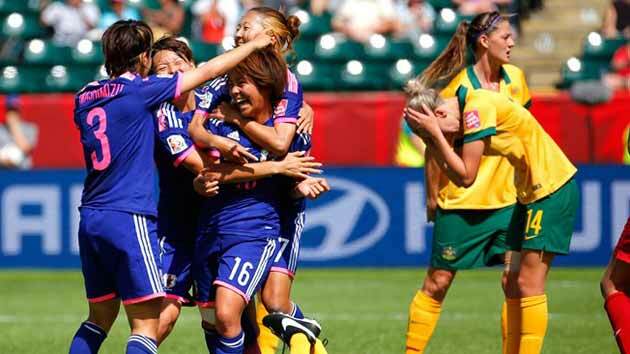 With a goal by Iwabuchi at 87 'the Japanese continue their climb to the final of Canada 2015, beating the Australians at the end of a spectacular match, full of beautiful game, emotions and opportunities that have made the race balanced and exciting with a possession of the ball in favor of the Japanese and with the insidious Australian restart. Australia coming out of the World Championship with their heads held high and, considering their progress, is a high-level national team for the future. The current World champions won the race with merit and already think of the semifinals to play with England that prevailed over the hosts of Canada with two goals in the first 15 minutes of play that influenced the game. Part time, extra time without big emotions and penalty kicks that reward Germany. 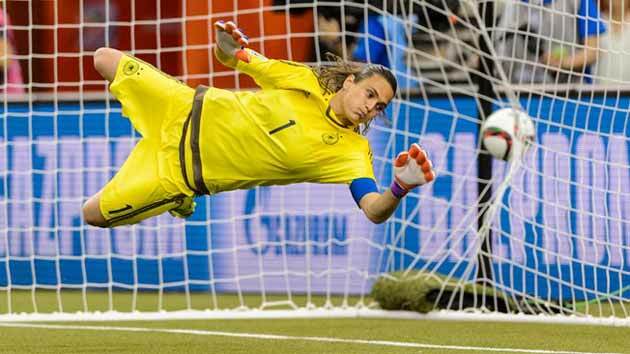 At the "Olimpico" stadium in Montreal, Germany and France gave birth to a good race with the trasalpine that prevailed on the level of the game in the first half ending in scoreless net. The recovery sees Germany more concentrated and determined but to take the lead is France at the 64 'with Necib that exploits an indecision of the opposing rearguard. The race flows pleasantly towards the end with the French who begin to dream of the semifinals and the Germans who do not give up and take advantage of a penalty kick, turned coldly by Sasic, to grab a draw six minutes from the end.